What's it about? After a plane crash , a group of people find refuge in the mysterious Himalayan idyll of Shangri-La, where peace and harmony reign. But is it as perfect as it seems? Is it any good? Disappointing. There's no denying it's a handsomely staged and ambitious epic, but it simply does not explore the central utopian premise with enough drama, wit or invention. Although the start and end are quite good, the middle section set in Shangri-La plods along, doing a dreadful disservice to the impressive sets. I felt a bit like one of the characters in the film, lured to this place with the promise of perfection, only to be bored when I got there. It's always a bad sign when the story behind the movie is more interesting than the movie itself. Anything else I should know? Well, I suppose you want to know the story behind the film now? This is one of those 'lost movies', which has been painstakingly restored over the years to the version I watched. 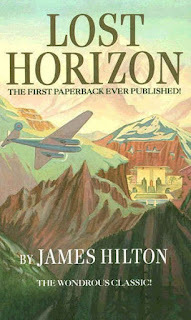 Capra first approached Columbia boss Harry Cohn in 1935 about adapting James Hilton's popular novel (which is generally, but mistakenly, regarded as the first American paperback ever published, fact fans). Capra was in great favour, having delivered several hits for the studio, so Cohn greenlit the project to the tune of about $1.5million, at that time making it the most expensively budgeted movie of all time. Almost immediately, Capra's ambitious filming plans (including huge sets, refrigerated soundstages and location shoots) ran into difficulties and the budget escalated to an estimated $2.5million, an enormous sum of money for the times. Cohn might have been a bit green about the gills about that, but when the film turned out to be 6 hours long, he went bananas. Capra agreed to whittle it down to around 3 hours, but the first preview screening was an unmitigated failure, prompting laughter and derision amongst the viewers. Even Capra admitted, "It was an absolute disaster, an unreleasable film." Further cuts by Capra were deemed insufficient by Cohn, who finally stepped in himself to edit the film, whereupon Capra took the hump and filed a lawsuit against Columbia and "the Jewish producer". Miaow! Everyone fell out, it tanked at the box-office and was marked down as best forgotten, although ironically it went on to win an Oscar for its editing! Anyhow, Hollywood is nothing if not persistent, so they wheeled it out again a few years later, during WWII, with some judicious cuts made to feed the propanganda of the times and it finally turned a profit. The trouble with these extra cuts, though, was that segments of the film became lost as the new reels were produced. In the 1960s, whilst cleaning out the attic, Columbia realised their own copy of the film was becoming unstable, so they made one last print and turned it over to the American Film Institute, presumably thankful to be rid of the damn thing. 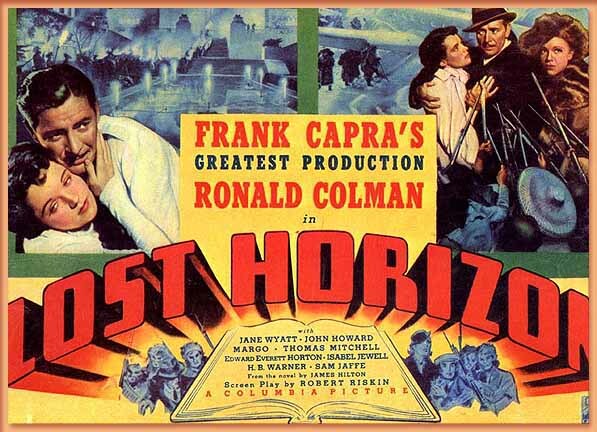 In 1974, the AFI launched a campaign to find the lost footage of Lost Horizon and film researchers scoured film vaults, basements and down the back of sofas for the missing segments. However, whilst they found an intact 138-minute soundtrack of Capra's final cut, some segments of the film were lost and gone forever. Not to be deterred, they restored the film regardless, filling in the missing visual segments with some stills and photos from the production, which actually works quite well during the viewing. Now, it's been transferred to DVD in digital format, so it's safe forever. 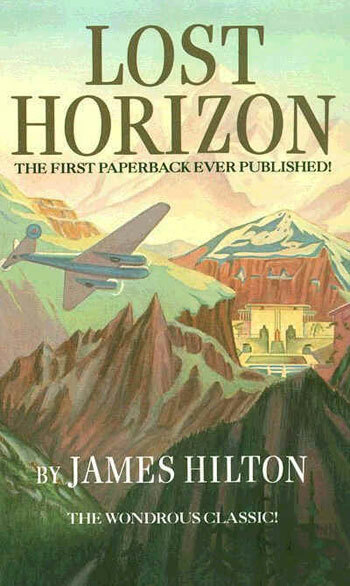 So there you go - a potted history of Lost Horizon. When you see it, you'll wonder what the fuss was about. What does the Fonz think? A bit of a Shambhalas.